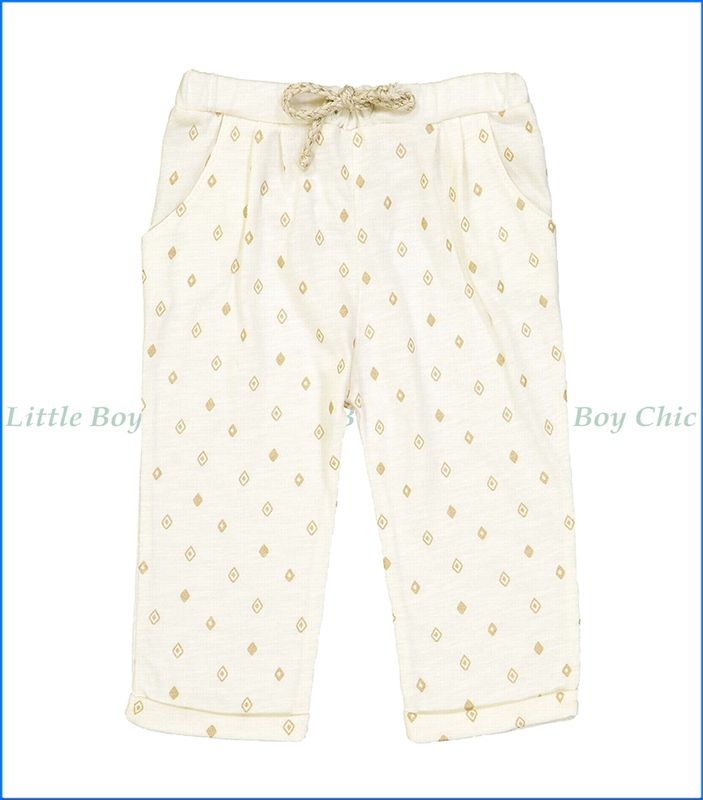 Gold styling touches, creamy color and diamond print all over make these pants really special. Slightly harem loose crotch fit. Elastic wasit with decorative gold leafed drawstring. Pockets on the sides. A creation designed for you in Paris, France. Makes a great gift. Pair with Blune's Grrr... Sleeveless T-Shirt.